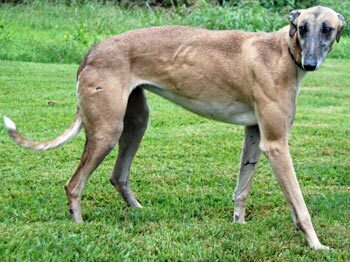 Nikki is an attractive, approximately 4 to 6-year-old fawn with black markings female. Nikki is double tattooed, so her age and background will never be known. GALT was contacted by a coyote hunter in Amarillo who said he had three “old dogs” to get rid of...and of course one was Nikki. 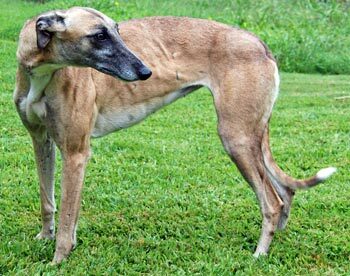 When she arrived, her medical evaluation showed a positive titer to Ehrlichia Canis. Nikki has been successfully treated and completed her medical procedures. Her titers will need to be monitored annually. 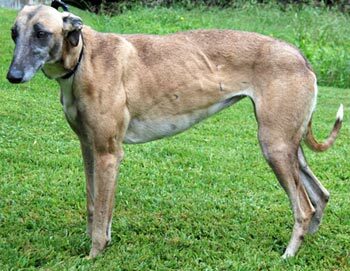 Nikki is a beautiful girl, inside and out, and deserves to find her forever home and couch. It is not known at this time if Nikki is small animal or cat tolerant.